The overtaking of several sectors of the federal government by private corporations who routinely use congress and the president to codify their unlawful activity to expand their monopolies has just received a huge gift package from those fine jackasses in the District of Criminals. Monsanto just received a payoff on its massive funding of campaign contributions on both sides of the isle, having the favor returned in the form of a free pass on any kind of control or any kind of judicial penalty on their collective species of invasive seeds. The Continuing Resolution (CR) which has been pitched as a crisis bill because otherwise the world would come to an end, included a so-called sneak attack by Monsanto that would give it a free pass. 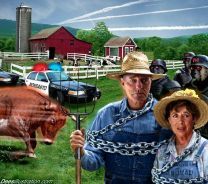 The Monsanto Rider avoids USDA controls and eliminates any judicial system interference. Obviously unconstitutional, the rider violates the right to due process by those harmed by this corporation and establishes a clear pattern of collusion against the public at large. No one actually wants Monsanto’s products and the grassroots resistance to these toxic crops has been non-stop. Both houses of congress of course ignored the public backlash as they voted on a full scale corporate hiney hugging love fest. Through a carefully constructed system of market manipulations, predatory practices, and with the complete cooperation of the USDA and the courts, Monsanto has relentlessly worked to end any farming endeavors that have not been consumed by their market monopoly. It also helped out immensely that Michael Taylor, alleged former attorney for Monsanto was somehow appointed to the newly created and unconstitutional office of “Food Czar” right inside the White House! I cannot help but wonder what input he may have had in this rotten deal. The actual intent of this rider was to relieve congress, the courts and federal agencies such as the USDA, from having to publicly expose themselves as bought and paid for. 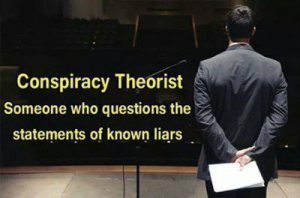 This rider actually serves to relieve them of having to expose themselves to any scrutiny or to require them to take any position arbitrary to Monsanto that might cause the money train to run off the rails. I have waited for the Supreme Court to intervene and advise congress and the president, that due to the separation of powers, and the right to due process, Monsanto cannot be given immunity for the damage and harm that it does to the private property and health of the nation. Of course, each and every time Monsanto has landed in front of the Supreme’s, somehow the laws get twisted, ignored and convoluted and Monsanto always wins. It helps when one of the Supreme’s is still invested in Monsanto after having been employed by them as an attorney, also. We don’t want no damn GMO! The public has consistently rejected the planting of gmo altered seeds and crops. Recognizing the threat to the public health, to the physical well being of the public, these crops, known to damage human dna, known to attack internal organs and also known to be the very definition of an invasive species, are now to be planted at will. No oversight by the USDA,(not that they would have gotten any resistance there of any kind) and no access to the courts resulting from the contamination of non-gmo crops or other damage suffered by the presence of these unnatural and deadly seeds. Monsanto, long known for its less than ethical practices, is considered the largest threat to food viability and safety around the globe. Supposedly, the Monsanto Rider was snuck into the continuing resolution and not one (count’em!) not ONE senator claimed to have authored it and most claimed not to know it was there. This claim, if accepted at face value, clearly indicates that these senators did not read the bill. By their own admission, they could not have read the bill and come away from that not knowing that this corporate attack on the country was included. So why did they vote to pass a bill they never took the time to read, according to their own statements? So what does section 735 of the Continuing Resolution gift package for Monsanto say? How many times was the amendment altered at the table? I also find this impossible to believe considering the massive coverage on the net by more than 3,000 websites and blogs, and the direct contact with senators by hundreds of thousands of people, regarding the public knowledge that this rider had been attached to the CR. Every senator on those committee’s knew the rider was attached. Every senator who voted to pass the CR, knew the rider was attached. And you can take it to the bank that every representative knew it too. Well…..you could take it to the bank if you were a senator or representative. And when this continuing resolution including the unlawful provisions for Monsanto is laid on Obama’s desk, he will sign it right into a null and void law that will be sold to the public as the law of the land. Having been consistently and blatantly betrayed by both houses of congress not only with respect to their having unconstitutionally empowered federal agencies, bestowing upon them powers and authority that congress itself did not and does not possess, corporations have actively and with impunity ravaged our agricultural communities and other areas of our economy. As a result in this instance, our food supply is so contaminated, so unfit for consumption, that it is now virtually impossible to clean up the toxic state of food of all kinds. Hiding behind the Administrative Procedures Act, congress routinely violates the non-delegation doctrine which provides that there is a difference between laws created by congress and codes and statutes created by unelected bureaucrats who use the opportunity to make laws outside of congress. The non-delegation doctrine declares that congress cannot give agencies a blank order with no specific, lawfully created, instructions. These instructions must be based in the laws and powers of congress. Yet, lawmaking by federally owned corporate agencies is done every day of the week, as members of both houses elect to abdicate their responsibilities while simultaneously betraying the very people they swore to represent. Congress cannot lawfully delegate power it does not possess!! Even when working within the non-delegation doctrine, congress is not allowed to pass its legislative power on to agencies. This last betrayal perpetrated by elected senators and representatives was no accident. It was not a result of them not knowing or, of there being any actual crisis in the operations of the monolithic monstrosity that is the federal machine. No one believes for a minute the District of Criminals would have shut down. We could only hope for that. The Monsanto Rider was simply the last act in the protection racket that is paid for with massive campaign contributions. Monsanto simply called in their markers and too many politicians were caught with their drawers down. Not that that is anything unusual in the District of Criminals. Non delegation doctrine is a principle of administrative law that Congress cannot delegate its legislative powers to agencies. Delegation is permitted only if Congress prescribes clear and adequate standards to guide an executive agency in making the policy. There should be an “intelligible principle” for the agencies to base their regulations on. You don’t say… there they go again. Nullification of Senate/Representative terms. It’s legal, but we need some lawyers and judges with some intestinal fortitude, if you catch my drift. It is time to take our government back. How is the question?